Fay Arjomandi is the mimik Co-founder and product/technology. From August 2014 to September 2016 she was the CEO of a group of mobile companies under Nantworks, including Tensorcom, Nantmobile and Mobile genomic health leading the consumerization health solutions. Prior to NantWorks, Fay was the CEO of Vodafone xone where she brought an extensive wealth of expertise as an extraordinary entrepreneur to Vodafone’s new heart of innovation. Fay successfully launched Vodafone xone in Silicon Valley in September 2011, which became the global incubation center of the Vodafone Group and the beta brand for Vodafone consumer in UK, Italy, Spain, Germany, and Egypt. Fay spearheaded the partnership work with emerging and disruptive technologies to enable start-up companies to develop, test and prepare for commercial deployment in global markets. Additionally, her role expanded to lead Vodafone Ventures, the strategic corporate venture capital arm of Vodafone Group. Fay’s broad range of roles at the company also included being the board member of Vodafone Global Enterprise Americas, and the President of Vodafone Americas Foundation, an outreach program whose mission is to mobilize communities to resolve shared problems and to enable mobile technology to advance social change In addition to exceptional leadership and vision. Prior to Vodafone, Fay was the co-founder and CEO three start-up companies L3 Technology, Mobidia, and Disternet (now mimik). As a pragmatic technology innovator, Fay has authored 12 patents. In 2014, she was named as one of the most influential women business leaders in Silicon Valley by San Francisco Business Week, and in 2006, received the distinguished Business In Vancouver’s “Top 40 Under 40” award presented to outstanding leaders in their chosen fields. In 2007, she was the Canadian technology and innovation representative to the White House. Fay received B.A.Sc degrees in electrical engineering from the Concordia University, Montreal, Canada, in 1998. Fay is a highly sought-after global speaker and industry thought leader given her specialization in wireless communications, software applications and protocol development. Fay is also currently the Chairman of H2 Wellness and Advisor to Studytracks. Fay has lived and worked in Middle-East, EU, Canada, Asia, and US. Mamoun Abu-Samaha is an Enterprise IT and R&D expert with over 20 years of industry experience in major Fortune 500 companies. While he is currently focused on his Mobile device Management and security company, MobiWee , and contributing as a core faculty member in ITU, his expertise in the areas of mobility, cybersecurity, wireless and IT. Mamoun is a subject matter expert in the areas of advanced software engineering, mobility, Web services -RESTful API, database technology, data structures, virtualization, information security, authentication, Game design, Physical Unclonable Function (PUF) technology, programming languages, mobile device management, reverse proxy, and Edge of the Network. Manjula Talreja is a 25+years IT industry veteran who has successfully transitioned from an IT practitioner to a go-to-market leader. She is a proven business strategist and operational executive – with a track record of transforming new businesses into major lines of revenue. She is an expert at delivering business results working with customers across multiple verticals, based on cloud, Internet of Things, social, mobile and analytics. She is currently Senior Vice President of Customer Success at Salesforce - the 4th largest Enterprise software company in the world. In her current role she is helping drive digital transformation for Salesforce’s customers across multiple industries Health Care and Lifesciences, leveraging the company’s cloud platform. Manjula had a 22-year tenor at Cisco. Until October 2015 she was Vice President at Cisco Consulting Services, the company’s business and IT technology consulting arm. Talreja ran the Global Service Provider group where she helped customers accelerate successful business outcomes by readying their operations for digital transitions. From 2009 - 2013, Manjula played a pivotal role in launching VCE (a partnership between Cisco, EMC and Vmware) and Cisco Intercloud; both new business models and partnerships in the growing cloud business. Manjula is a highly sought-after industry thought-leader, and was named “The Top 25 Most Influential Women in Cloud” 2015, CableFax “Top Minority Women in Cable” 2014 and 2015, “Most Powerful Women in Cable” 2012 and 2014, and CloudNOW “Top Ten Women in Cloud” 2013. She is a regular keynote speaker in global forums. Pacific Telecommunication Council Conference (PTC), Mobile World Congress (MWC), Women in Cable Technology (WICT), Cloud Expo New York and UC Berkeley Innovation Forum to name a few. Manjula is currently an Advisor of The Fabric, a cloud investment firm, Member of the board of Velocloud a leading SD-WAN startup in Silicon Valley and member of the UC Berkeley Institute of Business Innovation. Paula Skokowski received her B.A. and M.A. in Engineering Science from Oxford University and went on to complete an M.S. in Robotics and Control at U.C. Berkeley. Paula has spent her career at the very forefront of technology, building companies from zero to late stage growth in Robotics, IoT, Mobile and Cyber Security. Paula began her career programming robots at Adept Technology, then joined Echelon, where she pioneered one of the first IoT Interoperability standards working with leading corporations around the globe. At General Magic Paula brought to market the first VoiceXML development platform and led the voice team that developed OnStar, one of the first conversational voice interfaces. Most recently Paula has led marketing for information security companies, working to protect access to computers, networks and services. Currently Paula is CMO at Yubico, a security industry leader and inventor of the YubiKey, a two-factor authentication key used by millions of users in 160 countries around the globe. Paula has deep functional leadership experience in global go-to-market strategy, product definition and development, marketing and sales development and enablement. Ketaki Shriram holds a PhD from the Virtual Human Interaction Lab at Stanford, with a research focus on how external stimuli and user agency can impact presence within immersive experiences. She graduated from Stanford in 2013 with bachelors and masters degrees, also from the virtual reality lab. She has previously worked at Google [X] on the Glass team, and at Facebook’s OculusVR. In 2014, Ketaki produced her debut feature-length documentary TRUE SON, which premiered at the Tribeca Film Festival and was sold to Univision. Ketaki's talk will focus on conceptual cornerstones of virtual reality, and their applications to commercial endeavors. For example, what technical factors are necessary to produce the ideal social virtual reality experience? How, if at all, do virtual experiences impact physical world attitudes and behavior? What areas will likely be the highest impact for commercial VR? Sasha Williams is 16 years old, and attends Carondelet High School in Concord, California. Sasha realized her passion for technology and Arts at a young age. She was introduced to “Black Girls Code” when she was 12 years old. She learned that coding was fun and could open a world of possibilities. She learned that she could combine her love for the arts and technology. Sasha would like to become CEO of her own tech company or write and direct movies. 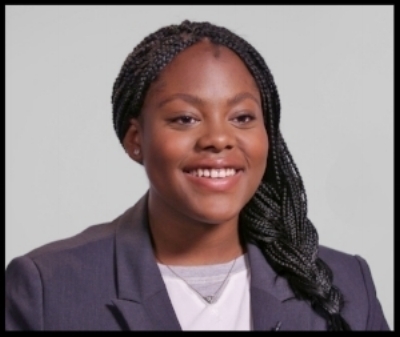 Since joining Black Girls Code Sasha has participated in a number of Hackathons and mobile App workshops. In 2013 Sasha’s team won second place in the Ignite Global Fund for Women’s Hackathon for their mobile app “Ohana.” Her team competed against teams around the world. Sasha looks forward to attending university with a major in Computer Science. Sasha received the Northern California Affiliate (NCWIT) Honorable Mention Award by the National Center for Women & Information Technology (NCWIT) for her computing aspirations and accomplishments and academic history. Sasha is a member of organizations such as Career Girls, Astra S.T.E.A.M., (L.I.F.E.) Courses (Learn, Inspire, Focus & Elevate), Alliance for Girls and a member of the International Thespian Society. Sasha is a member of GameHeads, a youth program at United Roots, in Oakland, California where she develops video games and learns about careers in the video game and tech industry. Sasha is the Level Designer and Art Designer for her team’s Video Game “Halls High.” She works on game design and development for roughly 1092 hours per year attending Saturday classes, weekly assignments and the summer acceleration program. Sasha was selected for the Entertainment Software Association (ESA) Leaders of the Fast Track (LOFT) 2016 Video Game Innovation Fellowship, sponsored by the Hispanic Heritage Foundation. Sasha represented her team’s video game “Halls High” at the White House in Washington D.C. 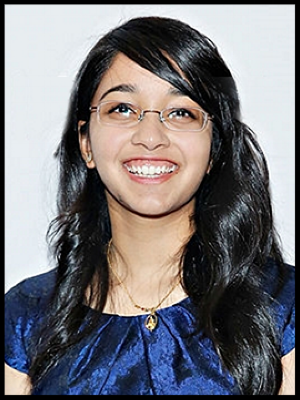 In association with Black Girls Code and their partnership with Twentieth Century Fox, Sasha participated in the “Future Katherine Johnsons” Campaign for the Oscar winning Movie “Hidden Figures.” Sasha coded a website describing why she is inspired by Katherine Johnson and why these images underscores her passion for a career in computer science and technology. Sasha was interviewed by National Public Radio (NPR) “All Things Considered” about the importance of the Movie “Hidden Figures.” Sasha strongly loves advocating for girls, especially young girls of color encouraging a career in technology and S.T.E.A.M. Sasha is featured in the “What Are You Hungry For?” nationwide on-line campaign and contest, in partnership with the non-profit “Share Our Strength.” The goal is to increase the number of youth who are aware and engaged in the fight against youth hunger in America. Sasha’s video showcases her passion for technology. She believes while some kids living in poverty may experience food insecurity, they are not defined by it. Their passion is what truly defines them. Sasha was recognized by her high school’s teachers and faculty with the 2017 HOBY Award. Founded in 1958, HOBY inspired by Hugh O’Brian’s mission is to inspire and develop global community of youth and volunteers to a life dedicated to leadership, service and innovation. Sasha is also a member of the All Student Body (ASB) Student Government. Most decisions made about you and your opportunities are made in a room that you’re not in. Scary, right? But true. Think about it. So how do you make sure that what people think and say about you – whether you are in the room or not – is the story you want told? Joanna Bloor guides her audiences through strategies to make sure they are both part of the consideration set and have an impact on what’s being said about us. All this starts with asking the question: What do you want to be known for? And understanding why. One of the unique and compelling components of Joanna’s presentation is her ability to perform “speed coaching” during her presentations. She draws in an audience member and in a matter of minutes, has crafted a bold and compelling personal value proposition unique to that person. It’s amazing for the participant and educational to watch. Joanna is here today because of many decisions made in rooms she wasn’t in. Sometimes she was offered my dream job, sometimes she was shown the door. In each case she noticed, the story about her, and what she was known for, impacted the result. Which made her ask, do you know, or can you influence what’s being said about you in that room? Are you even part of the consideration set for the opportunity? And if so, how? 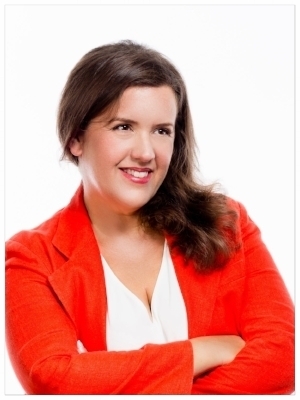 Joanna Bloor believes you can, and in today’s business world you must. So much so that it inspired her to launch The Amplify Lab to help people uncover their bold, unique, authentic and compelling Human Value Proposition and help them achieve impact by strategically amplifying their ideology. Known for being brave, curious Joanna has spent 20+ years working for technology startups. In leadership roles in companies including OpenTable, CBS Interactive, and Pandora, there she was challenged to develop and implement growth strategies to help them grow from idea to IPO.